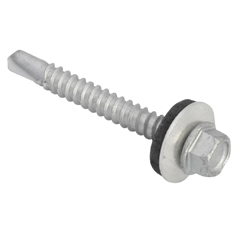 Blind fasteners are fasteners that can be inserted and tightened without access to inaccessible or blind side of part. 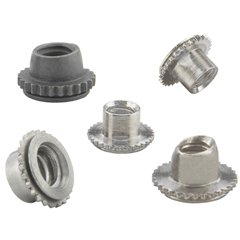 Blind fasteners comprise several components like core bolt, body sleeve member and buckle sleeve member. Blind fasteners are commonly used to secure work pieces together when it is otherwise impossible to access blind side of one of work pieces. Accessible work pieces of blind fasteners are referred as accessible side work pieces and inaccessible work pieces are referred as blind side work pieces. Blind fasteners have wide application in aerospace industry. 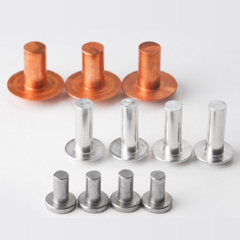 Avdel (India) Private Limited is leading manufacturer of blind fasteners. 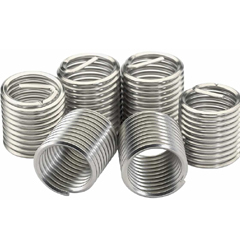 It provides blind fasteners of various shapes and sizes as per customers’ requirements. It provides blind fasteners at economic prices.